Unless you’re an experienced skier who can’t bear to miss a season on the slopes, it’s likely that you don’t own your own set of skis and all the equipment that goes with it. A common question that gets asked by those planning their first ski holiday, or even by those who haven’t been in a while, is whether it’s better to buy or rent ski equipment. The answer depends on who you are, your ability level and what you want out of your skiing experience. So, borrowing or buying, which is best for you? First of all, you want to consider your skill level before making the decision whether to rent or buy. If you’re a beginner, you won’t have the advantage of knowing what works for you when you’re out on the mountain. Buying your first pair of skis can be a daunting prospect. With so many skis to choose from (and some with dizzying price tags), buying skis and boots can seem like a big commitment. By opting for rental skis, it will give you a chance to try out different styles and brands to find the best fit for you. This way, if you find some ski gear you love, you know what to pump for on your next ski trip. If you’re not a stranger to the slopes but don’t quite consider yourself at the top of your game just yet, it might be worth buying your first set of skis. However, if you’ve only been skiing a handful of times, it’s still a good idea to hire boots and skis. This gives you the chance to try out even more types of ski equipment before picking your perfect pair. It also allows you to change your skis depending on the snow conditions to make the most of your time on the slopes. For example, off piste skiing requires different equipment to bombing down black runs at high speeds. Your ski length can affect how you initiate turns, so hiring different skis can allow for more varied skiing. The more regularly to plan to ski, the more worth it buying your own becomes. However, there are other benefits that come with hiring skis…. Once you’ve decided which level you’re at, it’s time to think travel. If, like most people, you’re travelling to your ski resort by plane, don’t forget to check the baggage policy of your airline before you travel. Strict baggage restrictions and hefty extra costs can be a nasty surprise. Many airlines don’t allow ski equipment to be included in your standard baggage allowance, and charge an additional baggage fee. It’s not just hidden costs you need to keep in mind. Skis, boots and poles aren’t the most portable of items. 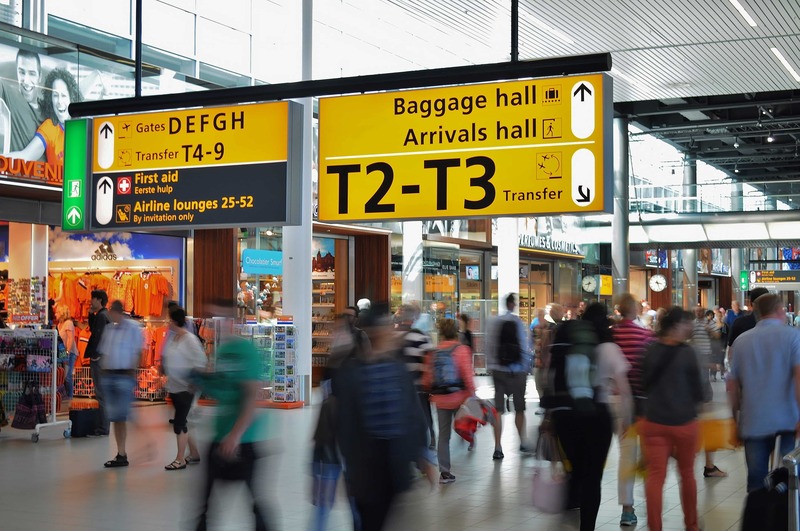 Racing through the airport with your family to catch a flight can be stressful at the best of times, without having bulky equipment to worry about. Instead of navigating the airport with four pairs of skis in tow, or trying to cram all your equipment into the boot of your car, an easier option is to rent. If you already own skis, it’s well worth making use of a ski storage service to keep your equipment safe and sound between trips. Simply drop off your skis at the Alps2Alps ski depot after your holiday and we’ll have them ready and waiting for you to pick up en-route to your resort next time around. What’s Cheaper, Renting or Buying Skis? Anyone who’s been skiing before will know that all the little extras can really add up. It is possible to go skiing on a budget, you just need to put a little thought into avoiding unnecessary costs. 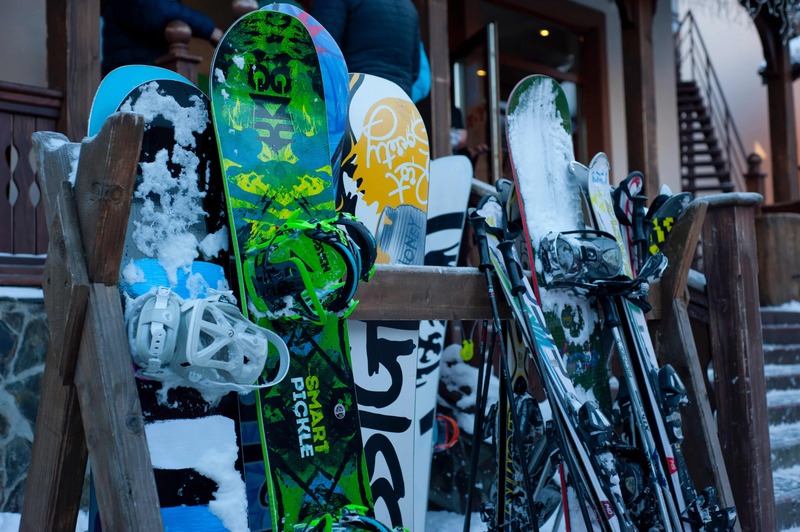 So, how much does it cost to rent ski equipment? Here at Alps2Alps, we’ve put the time in working out which option is most cost effective. While the average cost of flying with skis comes to around 332 euros, a family of four could save up to 146 euros when hiring skis! What’s more, we also offer free kids ski rental with a full paying adult! This makes renting ski equipment the wallet friendly choice for family ski holidays. Will Rental Skis Fit Right? One of the worries around rental skis and boots is whether you can achieve the best fit. Good ski rental shops will have experts on hand to find the right equipment for you and the type of skiing you’re after. The Alps2Alps ski technicians at our ski rental shops are expert boot fitters and will spend the time to make sure you’re happy with your skis. Finding the right fit for your foot shape is important so your boots don’t rub on pressure points. Conveniently located in Geneva and Albertville, you can even get fitted on the way to your resort, saving time for pounding the pistes. If you’re not completely happy with the fit once you’re out there, we can swap them for you with minimal fuss. Skis don’t look after themselves. Just like your favourite pair of shoes, ski equipment needs to be properly cared for and stored to last the distance. If you have the time, servicing your own skis is relatively easy and can be done from home, DIY style. However, if this seems like one more thing on your never-ending to-do list before or after your holiday, you can always leave it to the professionals. The Alps2Alps ski storage service includes full maintenance of your skis and snowboards by expert technicians. It’s even free for Alps2Alps transfer customers! Alternatively, renting your skis will do away with this conundrum altogether! Hopefully you’ve worked out the best option for you. Now it’s time to take the plunge. If you do decide to go down the renting route, Alps2Alps is here for you with great deals and the latest models on offer. Affordable prices, expert fittings and hassle free pick up. Book your ski transfer with Alps2Alps to enjoy exclusive discounts and five star treatment.